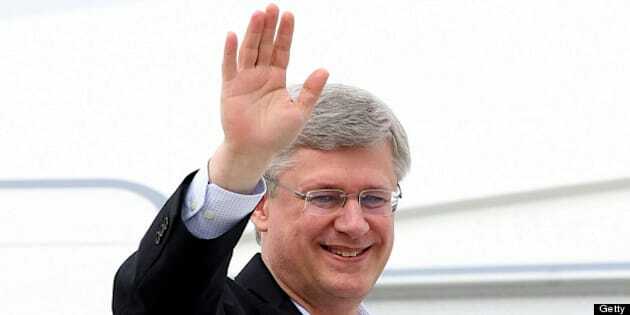 WHITEHORSE - Prime Minister Stephen Harper confirmed Monday he intends to pull the plug on what has been a tumultuous session of Parliament that saw his Conservative government rocked to its core by a scandal over Senate expenses. Harper said he will ask the Governor General to prorogue Parliament, hitting the reset button on a parliamentary session dominated by relentless opposition attacks over senatorial spending shenanigans — and how the Prime Minister's Office tried to make the scandal go away. As a result, instead of gathering in the House of Commons next month as originally scheduled, federal MPs will reconvene on Parliament Hill sometime in October for a new speech from the throne that will set out the government's agenda. "There will be a new throne speech in the fall," Harper said during a news conference in Whitehorse, the first of several stops on his annual week-long tour of northern Canada. "Obviously, the House will be prorogued in anticipation of that. We will come back — October is our tentative timing — and we will obviously have some unfulfilled commitments that we will continue to work on." "The No. 1 priority for this government, I do not have to tell you, will continue to be jobs and the economy." Harper's political rivals wasted little time in accusing him of dodging accountability. "People aren't going to be fooled. This is clearly a desperate government worn out by ethical scandals and mismanagement," NDP Leader Tom Mulcair said in a statement. "Stephen Harper refuses to answer legitimate questions from the public." Deputy Liberal leader Ralph Goodale said Harper is trying to avoid answering questions about his former chief of staff's $90,000 cheque to Sen. Mike Duffy and the questionable travel claims of Sen. Pamela Wallin. "Stephen Harper and his PMO are under fire for several scandals — from the recent Wallin report into potentially fraudulent expenses to the $90,000 cheque in the Wright-Duffy Affair — and are obviously keen to avoid questions and scrutiny by Parliament," Goodale said in a statement. "While starting a new session is an appropriate way to provide direction, Parliament has been on a summer recess since June and the prime minister has had plenty of time to write a throne speech." "The answer to the last question is, of course, yes," he said as partisan supporters cheered. "I'm actually disappointed you feel the need to ask that question." It's not the first time Harper has used prorogation, a standard parliamentary tool that has the effect of cancelling the bulk of any legislation that's still before the House. Earlier this year, Harper vouched for Wallin's "travel costs" in the Commons, but the Prime Minister's Office has since said he was only talking about Wallin's overall travel budget, not individual claims. In Whitehorse, Harper sidestepped a question about his previous defence of Wallin's expenses. "Of course, at the time I indicated that all of the senator's expenses would be subject to robust scrutiny ... through an audit that, of course, has since been done and obviously has uncovered some significant problems," he said. "The senator has not been a member of our caucus for some months, but I would expect that action will be taken to ensure full accountability for any breaking of rules." Other legislation to be affected by prorogation includes changes to the Canada Elections Act to establish new rules for political loans, and a private member's bill that would require labour unions to publish detailed financial information. "Thus, the bill would be sent back to the Senate in the same state it had been when it was passed at third reading by the House in December 2012, prior to the Senate amendment," the library said in an email. "The Senate would then begin the process of considering the bill anew; the Senate may vote to pass the bill unamended, amend the bill in precisely the same way it had been amended before, or introduce entirely new amendments."